1. Cook the rice with little salt and few mint leaves till 3/4th done. 3. Saute the onions till golden and add the chicken pieces. 4. Add ginger garlic paste, chilli powder and biryani masala powder. 5. Add the remaining mint leaves and curd. 6. Cook for about 5 to 8 minutes. 7. Arrange the chicken and rice in alternate layers into a greased pan. 8. Pour some water or chicken stock and cover the pan. 9. Add saffron and cook till the rice is fully coooked and blended well with the chicken. 11. Serve hot with onion raita. 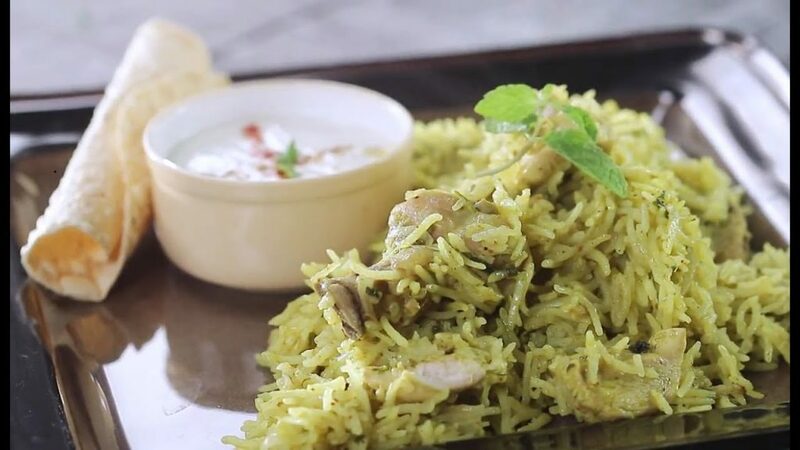 Feel free to comment or share your thoughts on this Chicken Mint Pulao Recipe from Awesome Cuisine.